The government has set the target of generating 175,000 MW of renewable energy by 2022. Power and New and Renewable Energy Minister Piyush Goyal on Friday said the government plans to set up a $1 billion private equity fund for the renewable energy sector that would be initially seeded by state-run companies. "We are planning a $1 Billion private equity fund for renewable energy sector; initially seeded by Government companies. "Seek to collect $4 bn/year in 3-4 years for clean energy fund. "Seek long tenor, low-cost overseas debt for clean energy fund," he said in a series of tweets. 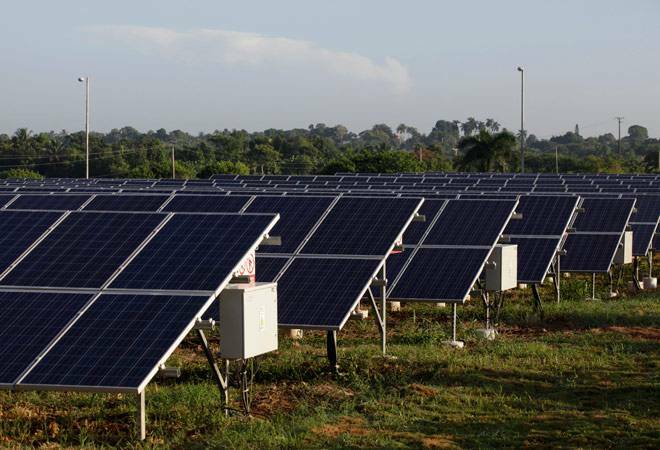 New and Renewable Energy Secretary Upendra Tripathi had said here earlier this year that the ministry is trying to get $2 billion from the World Bank and Asian Development Bank, which can be passed on to banks for financing projects on soft rates of interest. Earlier this year, the International Finance Corporation (IFC), the private financing arm of the World Bank, signed an agreement to partner IREDA to provide infrastructure financing for energy projects in India. "India is aiming at 5x ramp up of renewable energy," Goyal said in another tweet. "Received funding of 1 BillionEuro from Germany for Green Energy Corridor," he said. Goyal also said Prime Minister Narendra Modi will launch the International Solar Alliance on the coming Monday. "Hon'ble PM Shri @narendramodi ji will be launching International Solar Alliance on 30 November along with President (Francois) Hollande of France," he tweeted. At a "Talkathon" here along with Environment Minister Prakash Javdekar on the forthcoming climate change talks in Paris, Goyal said that India is going to replace 77 crore bulbs and all streetlights in 5000 towns with light emitting diode (LED) bulbs by 2018.